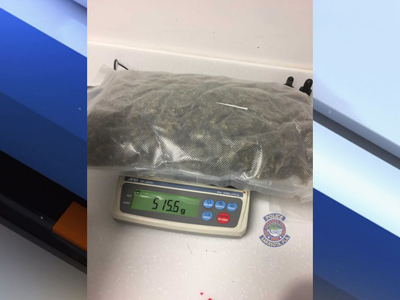 SARASOTA COUNTY, Fla. — Police were called to The Pine Thrift Shop in Sarasota after employees found four vacuum-sealed packages of marijuana inside a tote bag left outside of the store. Police say in total the four plastic bags had 2,133.5 grams of marijuana in them, which is just under 5 pounds. Officers spoke to three employees at the thrift store who say they found the drugs inside a white tote bag that was left at their outside drop-off area. One of the employees said he noticed the bag earlier in the week, but when he opened it he wasn't sure what was inside. He said he brought it inside the store and put it aside for later, according to police. 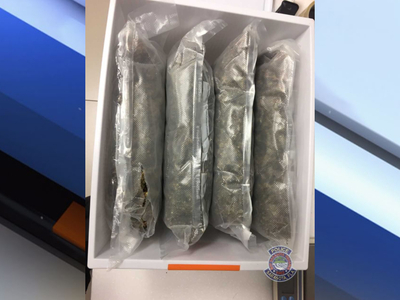 When he opened the bag again, the employee told police he cut a small place in one of the vacuum-sealed plastic bags and realized it was marijuana — immediately calling authorities. Police say the bags have been sent for DNA, latent and drug processing. They say the thrift store employees are checking to see if there is surveillance video of the drop-off area at the time the tote was left. Sarasota Police continue to investigate.